Peel and wash carrots and celery. Cut Apple into quarters and cut remov the cores. 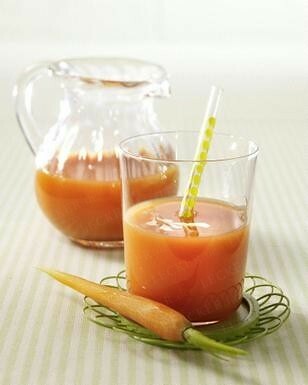 Everything sequentially extract the juice in the juicer and run into a glass. Stir cream and give it easily mix with the juice. preparation time is about 10 minutes.